Great White North Technical Evangelist: STD Web Service Framework - Version 2.2 Released! PB Classic Web Service Framework - v2.2.0.21! Software Tool & Die Inc are please to announce a new release of their Web Service STD Foundation Classes for IIs (STD FC IIs) - Version 2.2.0.21 (Service Pack#2). 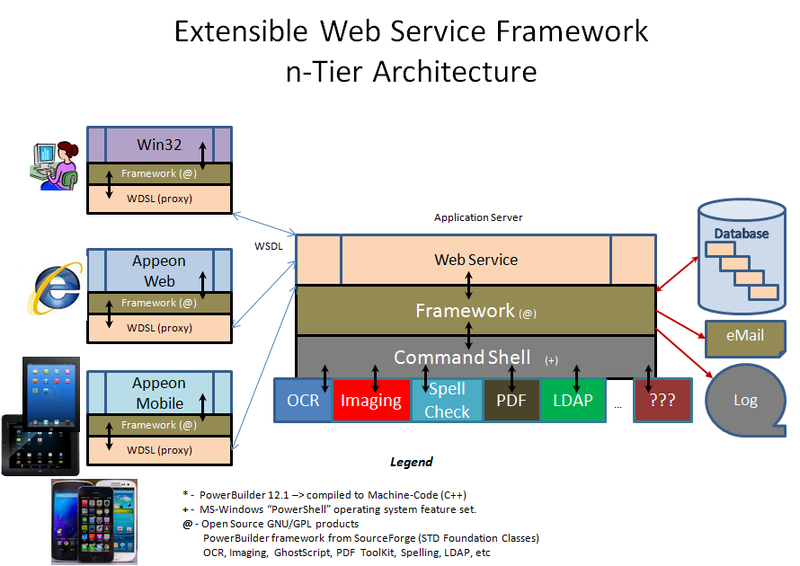 The updated v2.2 Web Service IIs framework is solely targeted to helping PowerBuilder Classic developers, develop .Net based Web Services deployed to IIs. The IIs based framework takes advantage of RAD techniques - employes an MVC (Model, View, Controller) architecture for superior performance, flexibility and extendability. Removed the nc_Timing_Master class as the Timer Event is not supported by IIs & .Net. Added abstract Transaction Object classes for the following DBMS: SQLServer, Oracle, DB/2, Informix, & SQLite. Added new constants: FAIL & SUCCESS completion code to use in methods returning the INT data type. Changed the Logging sub-system to allow log message redirection via the new "of_set_log_location" method. Added a new "of_write_database" method to allow logging to a DB versus a file. - Appeon 2013R2 and Appeon 2015. - MS-Windows 7, 2008 & 2012. Added new OLE class to support the open source ImageMagicK product (nc_ole_image_magick). Added support for multi-session logging.